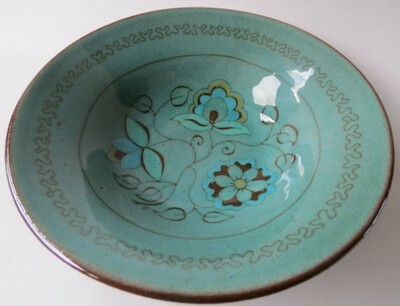 I LOVE this wee dish and I remember Kat showing me something very similar once. It is so Persian/Turkish in its style, and so immaculate. 13.5 cm across. If not for the New Zealand on the base I would have assumed it was imported. 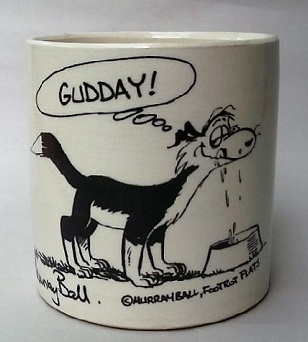 It's Barry Ball 1280 ware and decorated by a merry band of Indonesian ladies who did exquisite work. Love their work and have too much in my collection. It was Ev who first pointed these out to me..thats a nice one Val.